If you're in need of fixing imperfections give this a try. Lee Graff, Co-Creator of COVERFX helped create this to create flawless looking skin. 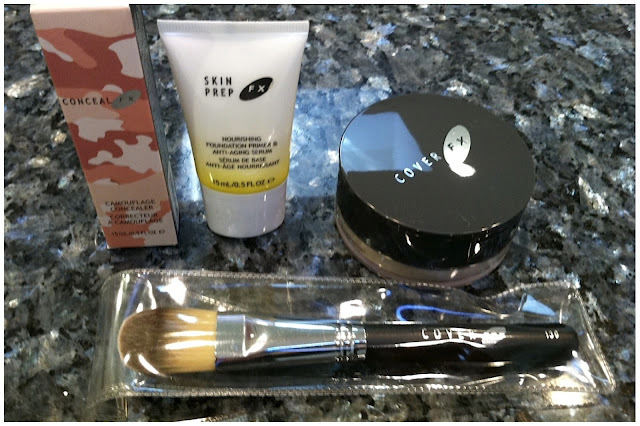 THE BIG COVER UP KIT includes the Skinprep FX, COVERFX, Setting FX Translucent Setting Powder and #130 Foundation Brush help to create flawless skin from blemishes, sun damage and other complexion concerns. *The CONCEAL FX camoflauge concealer comes out dark but the self-adjusting pigments evolve upon gentle blending to offer your custom colour correcting tone. This Kit if perfect for Professional or Personal use.